H. Vatanparast, A. Leis, L. Humbert, N. Muhajarine, A. Froehlich Chow, C. Henry, R. Engler-Stringer, N. Osgood, M. Szafron, M. Belanger, and S. Reading. The Impact of Healthy Start-Départ Santé intervention on improving dietary intake of 3-5 year old children attending childcare centers in Saskatchewan and New Brunswick, Award: $266,076, Heart and Stroke Foundation, 2015-2018. S. Kontulainen, A. Baxter-Jones, D. Cooper, M. Humbert, J. Johnston, J. Lanovaz, M. Szafron, H. Vatanparast, S. Wiebe. Revealing Origins of Osteoporosis (ROOT): An evaluation of sexual dimorphism and determinants of bone micro-architectural development in adolescence, Bridge Funding for the March 2014 CIHR Open Operating Grant, 2014-15: $39,164. M. L. Szafron (PI) Dr. James Rossiter MPH Practicum Award: $47,815, CIHR and PHAC. May 1, 2015 -April 30, 2016. M. L. Szafron Lattice Models of Polymers, Award: $10,000, President's NSERC Fund Award. May 1, 2014 - April 30, 2016. 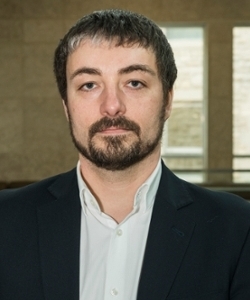 M. L. Szafron Lattice Models of Polymers, Award: $10,000, President's NSERC Fund Award. May 1, 2013 - April 30, 2015. B. J. Davison, C. Gutwin, M. Szafron, and K. Visvanathan. Profiling Prostate Cancer Patients’ Preferences to Facilitate Treatment Decision Making . SHRF Establishment Grant. April 2012 to March 2015. P. Chilibeck, D. Candow, A. Baxter-Jones, S. Kontulainen, M. Szafron and G. Zello. Ibuprofen supplementation after resistance training and its effects on bone in older woman. Catalyst Grant: Drug Safety & Effectiveness in Underrepresented Population. CIHR. October 2012 to September 2013. B. J. Davison, C. Gutwin, K. Visvanathan, L. Holtslander, L. Raccine, and M. Szafron. Profiling Patient Preferences to Facilitate Treatment Decision Making. Canada’s Motorcycle Ride for DAD Prostate Cancer Research. September 2011 to August 2012. M. Andkhoie, E. Pandovska-Pelivanova, S. Emmanuel, F. Lateef, M. Szafron, and M. Farag. (2014). Demand and burden of dental care in Canadian households. International Journal of Economics and Finance, 6(9): 73-82. B.J. Davison, M. Szafron, C. Gutwin, & K. Visvanathan. (2014). Using a Web-Based Decision Support Intervention to Facilitate Patient-Physician Communication at Prostate Cancer Treatment Discussions. Canadian Oncology Nursing Journal, 24(4): 241-255. C. Soteros and M. Szafron. Crossing-sign discrimination and knot-reduction for a lattice model of strand passage. Biochemical Society Transactions. (accepted January 8, 2013).